Features of Mechanical Seals – Mechanical seals come in an extensive number of structures. Particular designs vary in the method they are operated, the selection of subsidiary seals, and the positioning of the springs. Each mechanical seal has been designed to suit some standards in regards to installation, value, fit simplicity, and ability to seal properly. There are, anyhow, some essential design features that are typical to any proper mechanical seal design. A lot of previous mechanical seal designs over the years placed the spring within the operation liquid. Majority of operation liquids that are sealed are quite unclean. When the spring system of the mechanical seal is plunged in this unclean liquid, grime accumulates between the springs. This circumstance in due course affects the spring’s capability to react to motions and vibrations, and the facility to retain the seal faces closed. Eventually, clogging of the springs will entail early seal collapse. The perfect design presents springs on the atmospheric part of the mechanical seals. The springs will be sheltered from the operation liquid and their capacity to function will not be restrained. Mechanical seals can be created with monolithic seal faces or with embedded seal faces. In both scenarios, the surrendered seal face is frequently made from graphite/carbon. This material presents good running features, however, is rather poorer from a mechanical point of view than alternative choices. Embedded face designs utilize a metal rotary mount to transfer the shaft torsion to the seal face. This drawback of the embedded face design is that the face and mount material contain various factors of thermal swell. This adjusts the net resistance force between both elements when they are subject to heat from the operational liquid or encounter friction. The seal face disfigures, which emerge in leakage and premature collapse/wear. 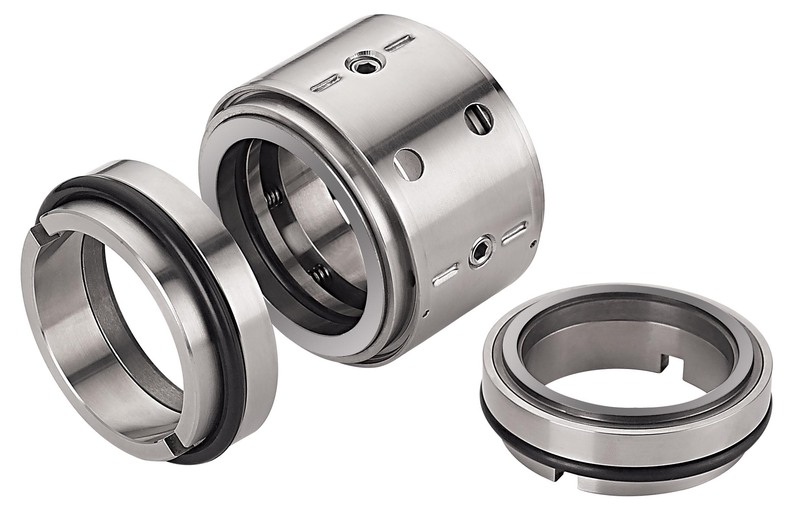 More progressive seals are supplied with monolithic seal faces that are formed out of just the seal face material itself. 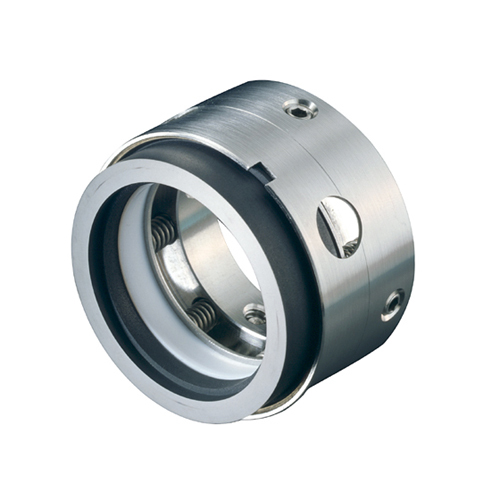 The torsion drive is adopted straight to the seal face. However, this is permissible if the shape of the seal face is designed in a specified way to give it the force to withstand the torsion via its geometric form. Monolithic seal face designs have been made possible via the use of Finite Element Analysis (FEA). Monolithic seal faces ensure a more durable liquid film between the faces. Additionally, they don’t deform in the process in comparison with inserted faces. Therefore, they are at present moment frequently used when permanence and low emissions are essential. All mechanical seal designs have at the least one subsidiary seal that cooperates with the springs to hold the seal faces shut. It is designated as the dynamic secondary seal. Throughout the process of a rotary design, springs will retain the seal faces closed. They alter with each turn for any misalignment from assembly and elements tolerances. As the springs make up, the dynamic subsidiary seal relocates with the dynamic motion of the resilient, mounted face. This subsidiary seal moves back and forth, twice per turn. This fast movement stops the protective metal layer (chrome oxide) from building. A decay of this uncovered area under the dynamic subsidiary seal will result in the expansion of the groove. Ultimately, this groove will get so deep that an O Ring compression will be lost and the seal will leak. In the majority of cases, fretted shafts must be changes to accomplish an effective seal. 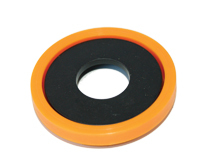 Non-fretting seals are made so that the dynamic subsidiary seal travels on a non-metallic surface. A turning mechanical seal has the spring system in the rotating section of the mechanical seal. With rotary mechanical seals, it is crucial that the stuffing box face is perpendicular to the shaft in order for the faces to stay shut. There will always be certain emerging misalignment from assembly and elements tolerances. The springs must alter with each turn to retain the seal faces shut. This regulation gets harder at a higher pace. However, the stationary seal is a complete contrast. It is designed in such a way that the springs don’t turn with the pump shaft; they stay still. Because the springs don’t turn, they are unconstrained by rotational pace. The springs don’t need adequate rotation or alter with each rotation, they adjust only once for misalignment when assembled. 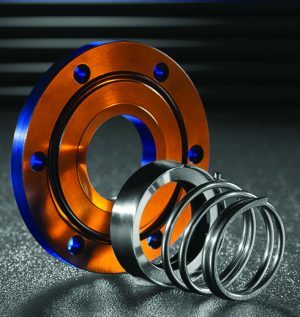 Rotary seals are easy in design which makes them affordable. They are adequate for lower paces only. Stationary seals are more complex to create, however, appropriate for all speeds. Because of design complexity, stationary seals are more often moulded as cartridge seals instead of component seals. E & OE. M Barnwell Services endeavour to make sure that all content is correct. Information has been gathered from manufacturing partners.